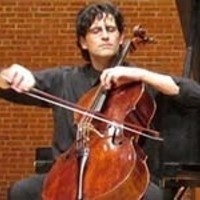 From the United States to Europe to the Middle East and Asia, Israeli cellist Amit Peled, a musician of profound artistry and charismatic stage presence, is acclaimed as one of the most exciting instrumentalists on the concert stage today. He will be joined by pianist Elizabeth Borowsky ‘05. Presented in conjunction with Visions of Place, on view in the Center for the Arts Gallery.